See what dreams are really made of with this elegant and classic three stone ring, featuring a trio of rare white diamonds. 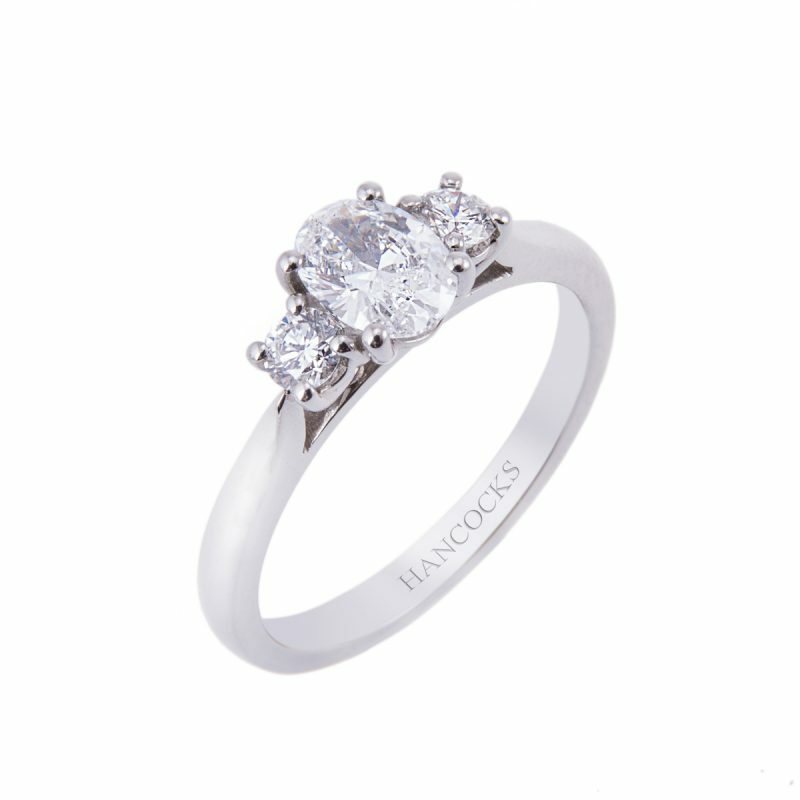 A central certificated 0.30ct oval cut diamond of the highest D colour, set with a brilliant cut diamond either side. 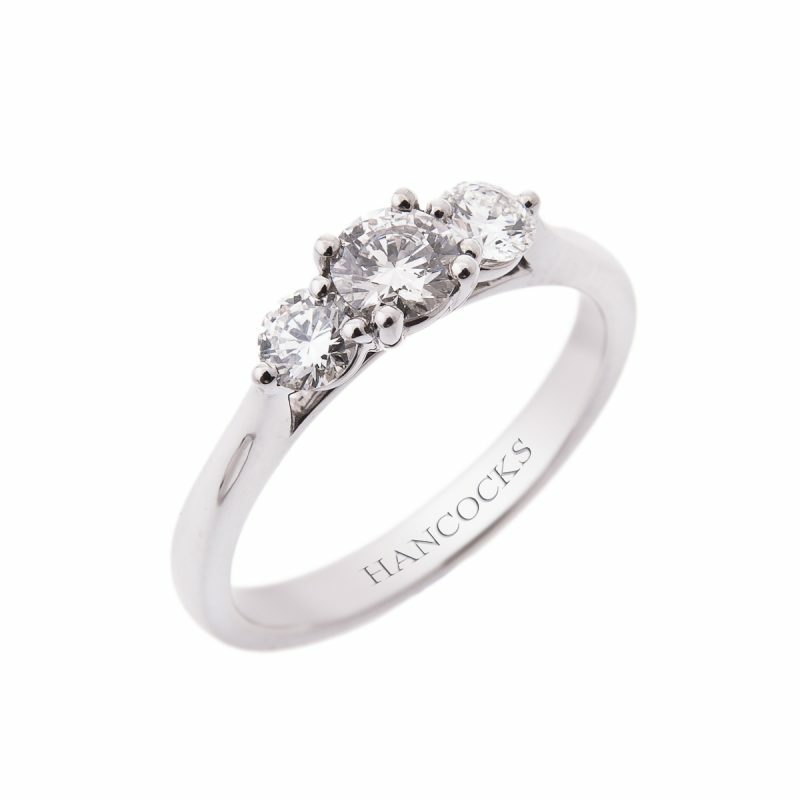 Mounted in a platinum 4-claw setting to maximise the brilliance from every facet of the diamonds, this stunning ring would make anybody feel confident proposing.